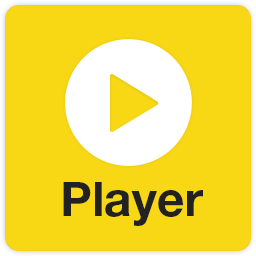 Multimedia Player (KMPlayer Reloaded) without installation. Online installer is also setup extractor if found PotPlayerSetup.exe, PotPlayerSetup64.exe, OpenCodecSetup.exe, OpenCodecSetup64.exe in its folder. Settings of installed PotPlayer should be preserved. download of potplayer setup file is not allowed anymore. I means your PortableApp installer can not download the required setup file. I get access forbidden message. I found the reason, is blocked by my antivirus program. When I turned it off, it is ok now. My antivirus blocks it. If I allow it, will it harm my pc? Not to be done with a portable app. How do you get the 64bit version to launch please? I downloaded both 32 & 64bit versions but the PotPlayerPortable.exe always launches 32bit. Do I have to rename some files maybe? You must of course run on a 64 bit system. Indeed I have 64bit Windows 7..but I seem to have fixed it. I originaly installed PotPlayerPortable in %program files (x86)% and it kept running the 32bit version. But then I thought the normal place for 64bit stuff is %program files%% so I moved PotPlayerPortable into there and now it's running the 64bit version! I think I'll need to stop drinking..lol. Anyway thanks for all the effort you put into your releases..you do some great stuff and it's much appreciated. Thank you very much for ALL your PortableAppZ Bernat! Keep up this excellent work! "PotPlayer_Portable_1.x.x_32-64-bit_En_Online.exe" is working fine again. You are right, they changed net in com in download link. Installer updated but recommended to use it as setup extractor. "AAC" Audio decoder is required to play the file. Video still plays but no audio. Tested avi mkv and ts on Windows 8 without problem. I also had no audio in recent versions. Look for file "FFmpegMininum.dll" in an older version of Potplayer and copy it into folder "PotPlayerPortable\App\PotPlayer\Module\FFmpeg". I used it from verson 1-5-45955. Now life is good. after line 155 of installer. The last 2 versions have not worked with WinXP 32 SP3. Thanks for the come back but still will not work? very strange even downloaded from Daum both will not work and will not open. what the hell am I missing? been using this program for years. Tested working on Windows XP SP3 32 bit. ‘VMR 7 Renderless’ but doesn’t sound like that’s your problem. how to fix it, plz ??? Nothing to fix: tested working on a just installed Windows XP SP3 32 bit (screenshot above). Just to conclude my ramble on this subject and maybe help others. I have another WinXP SP3 machine and it works OK on that. The difference being other machine has Net framework 4.0 and this machine does not? I notice that PotPlayer now writes a registry key: HKEY_CURRENT_USER\Software\Daum\PotPlayer which I can't say I've noticed before. Just recently I continually get a request pop up to update to the latest beta whenever I start PotPlayer despite the fact that Updates are switched off in the preferences. Any ideas if this registry key might be be causing this update request as if I delete the key it just gets rewritten every time Potlayer is run. You are right for the key: fixed launcher. Therefore I never had a request pop up to update the latest beta. Try first to reset settings by renaming Data in DataBak. If it doesn't solve try a new install in PotPlayerPortableTest (for instance). I had also the problem of auto-update. Reading this forum I found a solution : run installer again to get the latest build (14 september). Can confirm the new launcher fixes the key problem. In the end I did a new install of version 1.6.56209 as I couldn't stop the update screen from popping up no matter what tried. Everything now seems to be working fine so I hope it stays that way. I have a question...do i have to download opencodec every single time I update potplayer? PotPlayerPortable.exe can't open multiple instances. PotPlayerPortable\App\PotPlayer\PotPlayer64.exe can open multiple instances. I think it is not possible to run several instance of a player. What is the interest to watch several movies at the same time? Watch streams at same time. With the PotPlayer (64-bit) version: 1.6.62949 I can open multiple instances. Hello Bernat ! Is the site http://www.portableappz.ru/appz/ is related to you in what way? Whether your software is distributed there by you or they do it alone. Thank you in advance for your response. No, I didn't know this site. They take also my pseudo (with an ugly avatar). PotPlayer.dll is modified or hacked.. Tested working with PotPlayerSetup.exe and PotPlayerSetup64.exe in its folder. Ahhhhh.... AND... i I’ve download only potplayersetup64.exe. Now I’ve understand! You need only what you check but 32 bit setup can't be unchecked. Please re-build your installer for only potplayer.exe or potplayer64.exe, not AND! Why your setup required 32 AND 64 .exe?? Because many files are common to 32 and 64 bit and present only once in same folder. Sources in Other: you are free to edit and compile. Ok tanxs for your reply! Why drag and drop don't work? Drag and drop tested working. there are two files at "App\PotPlayer\$0", did it a temporary folder? Yes, this is a temp folder of the NSIS setup that you can delete. PotPlayerMini.ini is stored on C:\Users\AppData. This should be stored in the portable folder. 2 PotPlayerMini.ini can't be created by this portable because PotPlayerMini.exe don't exist. My bad, PotPlayer.ini. Windows 7. I had my settings from another version and pasted on PotPlayerPortable\Data\PotPlayer\PotPlayer.ini. Maybe I did something wrong. Thanks!